It is winter and the beginning of 2015. Who knows how long this blog will last or if anyone will read my thoughts and posts. So I will treat this as my own memory book for as long as it lasts. My life over the last three years has been fairly solitary. 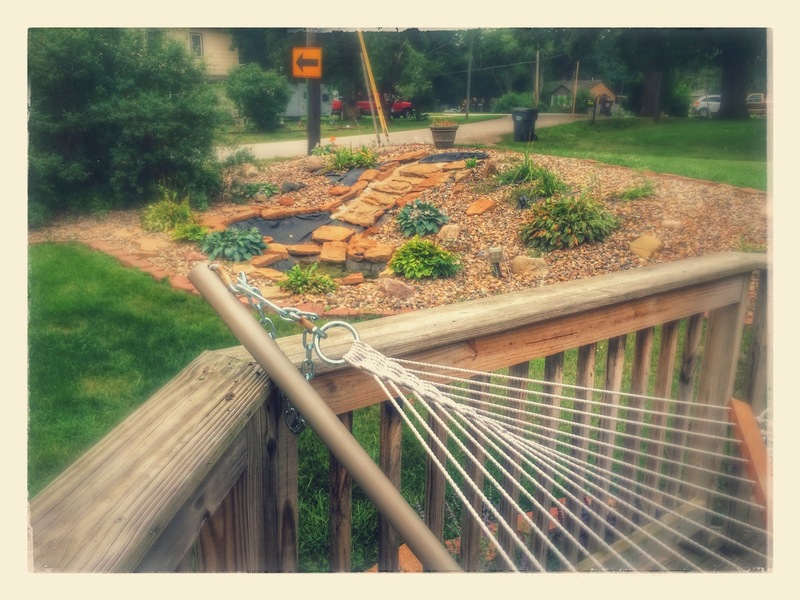 In the process of moving back to the familiarity of Iowa, I've moved myself into old habits, tasks, and ideals. Part of me always missing moving, living in a new place, discovery new ideals and culture. Lately I have not taken the time to contemplate much more than my hatred of cold weather. I constantly think of warmer places, but at the same time dread the idea of moving away from my home, familiar comforts, and the people or places I've grown accustom to over the years. Iowa has always in its own way been home. My family no longer lives here. My heart is likely in Europe or a book. The truth is, I'm scared to move again. I like my job. I'm ok with my home. I like the people in Iowa but I'm bored. My house is tiny. It is not the nicest place I've ever lived. It's the first place I've ever owned though, and I've enjoyed planting roots. I mean that literally, this summer I planted hundreds of flowers, shrubs, trees, and herbs. It's been a lot of work. When I first bought the house, I thought it would be easy to remodel a home. The house is ok, just not my style. It's not easy and I'm not handy. That is what I've learned. I've painted and made repairs, but for the most part it's not how I want it. It is a cute home and mine but doesn't look anything like the apartments I used to live in. The best part about owning a home though, is that I have an automation system, and the ability to manage my house my way. Closet space. The house came without closets. What else is on my "dream" wish list for the future? Quirky products, I would love to try philips hue when it becomes more affordable, better security cameras that are not as invasive, a dishwasher that works (mine is brand new from LG and always errors out), a stainless steel sink, more home automation integration, a door to the backyard, a fence around my property, more shrubs and better landscaping, eradicating poisonous plants (have a huge poison ivy problem), paving my driveway, closets, lots of closets, moving my laundry to a main floor, adding another bedroom, a green house, built in book shelves everywhere, parquet floors, wainscotting, new doors, a net zero home, solar panel roof tiles, box dormers for the upstairs, and a larger garage with built in storage. What products have I used in my smart home? I would like to test more GE products, aeon, quirky, belkin, a robot lawn mower, irobot mopping, and piper someday. What have you used? Any recommendations? Thoughts for going net zero? I also can not find a fire door that will fit in my unusually short basement connected to my garage.